President Donald Trump said he would “personally prefer” to shut down the government before the midterm elections in November if Congress does not pass funding for a wall on the U.S.-Mexico border. Yes, government shutdowns are great. Who needs roads, bridges, dams, parks, firefighters, Social Security, the military, the VA, FEMA, NASA, Medicare, Medicaid, the FBI, CIA, TSA, the Secret Service, and all the many thousands of things the federal government does? We should shut it all down because Trump didn’t receive his Wall money? But wait! Do you recall how Trump repeatedly, endlessly promised that Mexico would pay for the Wall? The suckers believed yet another of the thousand Trump’s lies. 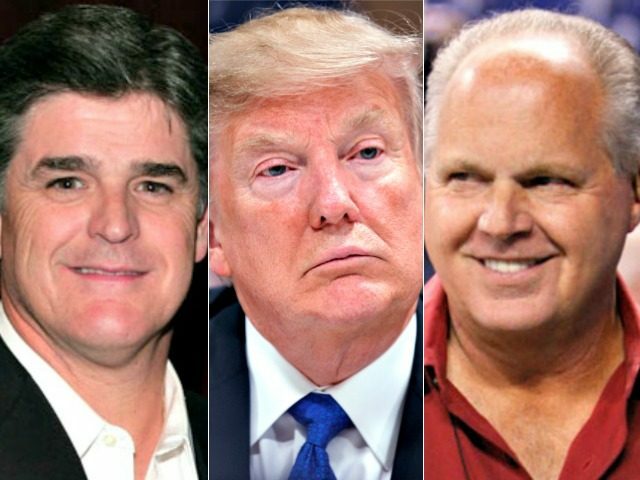 And notice from where Trump gets his presidential advice: Rush Limbaugh and Sean Hannity. Why confer with experts when you have Limbaugh and Hannity? Sanders refused to reject Trump’s allegation, instead criticizing the press for lowering “the level of conversation in this country” and saying the media incited anger against Trump. Acosta pressed Sanders, but she said she and Trump had made their position clear. Acosta later walked out of the briefing over Sanders’ co criticimments. 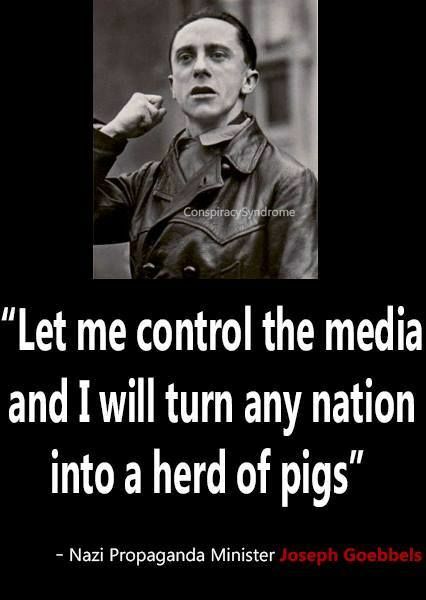 Hitler called it ‘lügenpresse’ The phrase means ‘lying press’ in German, and was used to attack media outlets that were deemed to be unsupportive of the Nazi party and its aims. The word has also been previously used by Donald Trump supporters, and in a rally in October, two people were caught saying the Nazi term to journalists. Trump resents the 1st Amendment to the Constitution — freedom of the press — as all dictators do. Bashing the free press is one of the first acts of a despot. Her boss barely goes a day without tweeting or saying an insult. The Trump administration believes that the responsibility for finding parents who were deported after they were separated from their children should rest with immigration advocacy groups, not with the federal government. “Not only was it the government’s unconstitutional separation practice that led to this crisis, but the United States Government has far more resources than any group of NGOs” ACLU wrote. 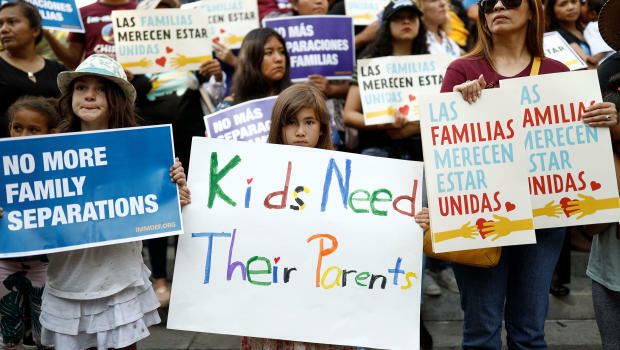 The ACLU lawyers also complained that the government is not even sharing information it already has on parents who have been deported, mostly to the Central American nations of Guatemala, Honduras and El Salvador. Trump: Let the ACLU do it. We can’t. The administration established contact information with some deported parents but didn’t pass that information along to the ACLU. Even when information is being shared, it’s only coming in pieces. Some addresses for parents list only a street, some merely a city. On Tuesday, a bipartisan group of senators grilled administration officials over the family separation crisis. “Unfortunately, the flow of information to the public and to congressional offices with important oversight responsibilities has been both incomplete and below acceptable standards,” the senators wrote. Even for an administration, a President, and a political party, now known for immorality, the torture of children and parents is exceptional. The lie that the government no longer can find the parents, and that the ACLU should do it, is beyond the pale — except apparently for Trump. A bipartisan group of senators offered Thursday a bill that would impose tougher sanctions on Russia if it continues to interfere in U.S. elections. The bill would create new criminal penalties for anyone who targets election systems and slap sanctions on political figures, oligarchs, and others who engage in “illicit and corrupt activities” on behalf of Russian President Vladimir Putin. The legislation also pushes back against President Donald Trump’s attacks on NATO, requiring a two-thirds vote of the Senate for the U.S. to leave the military alliance, which includes Canada and most of Europe. Trump: Putin says he didn’t do it. 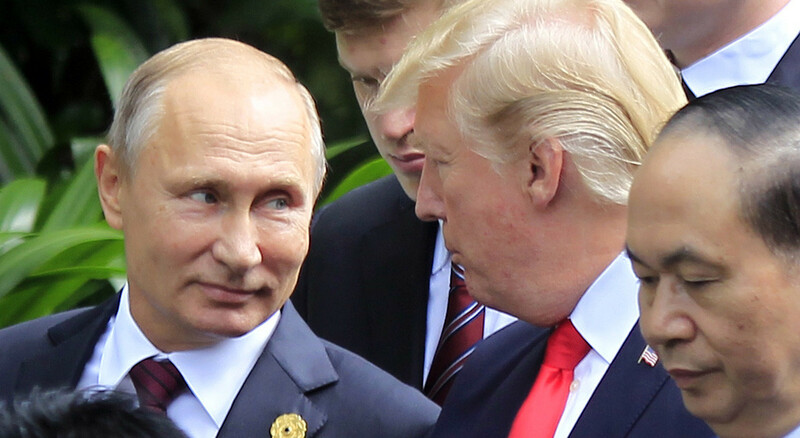 Trump has questioned whether Russia really meddled in the 2016 presidential election and whether NATO is still useful to the U.S. However, Dan Coats, Trump’s director of national intelligence, has said that “the warning lights are blinking red again” for Russian interference in this year’s elections. Congress voted last summer to impose sanctions on Russia for interfering in the 2016 election, but the bill’s six sponsors of the bill say the penalties weren’t tough enough and won’t deter Putin from meddling in this year’s elections. The bill’s strong bipartisan support means it has a good chance of passing in the Senate. It’s not clear whether it will be introduced in the House or whether Trump would sign it if Congress approves the legislation. Trump will sign it if Rush Limbaugh, Sean Hannity, and Putin to tell him to. Following the White House’s release of a proposal to cripple Obama-era fuel regulations, 19 states have stated they plan to sue to stop the rollback. The administration’s new plan calls for holding 2020 fuel efficiency standards steady through 2026, undoing the plan for Corporate Average Fuel Economy standards to get stricter every year until 2025. The Trump administration argues that a rollback of regulations would prevent fatalities by reducing car prices, leading people to buy automobiles that are newer and safer. States fighting the plan allege that it will result in increased air pollution. Trump makes the outrageous claim that cutting fuel efficiency will prevent fatalities. Nevermind that it will increase human breathing fatalities, and also use more oil. The Guardian: 8/2/18: A suspected Russian spy has been working undetected in the heart of the American embassy in Moscow. Two investigators from the US Department of State’s Regional Security Office (RSO) sounded the alarm in January 2017, but the Secret Service did not launch a full-scale inquiry of its own. Instead, it decided to let her go quietly months later, possibly to contain any potential embarrassment. The Secret Service attempted to downplay the significance of her role. The state department said it would not comment. The discovery of a suspected FSB mole on its staff within the US embassy in Moscow could have severe consequences for the safety of other Secret Service staff and those it is mandated to protect. The Guardian has been told the name of the suspected spy and her job title within the agency. With a role that gave her an insight into ongoing Secret Service investigations, the woman had access to the Secret Service intranet, its internal email and its counterfeit-money tracking system. The state department alerted the Secret Service in January 2017and at least nine high-ranking Secret Service officials became aware of the findings. The potential breach was not reported to any of the congressional intelligence or oversight committees. “The US Congress is focusing on Russian hackers when it is possible that all of the information they needed to get into the system came from the internal breach in the Secret Service,” a source said. This is what happens when there is no sane leadership, and experienced staff repeatedly quits, or is fired and replaced by new, inexperienced staff (or sometimes not replaced at all). There, we have one day of your life under Trump. Based on Trump’s erratic and mercurial history, we only can be sure of one thing: Tomorrow will be worse.